Ace shuttler Pusarla Venkata Sindhu, became the first Indian woman to win a silver medal, by bagging one at the Rio Olympics last year. She is the latest sportsperson whose life will be portrayed on the big screen. 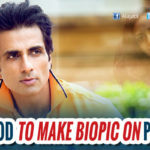 While Sonu Sood is producing the film, the name of the actor who will reprise the young athlete on screen is still under wraps. However, Sonu is sure that he wants Sindhu to play a cameo in the film. Pusarala Venkata Sindhu longed to become a badminton player at the age of 8 and through her sheer hard work and dedication, she did become one. 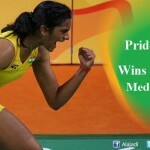 Sindhu, apart from fulfilling a dream, did much bigger by bagging medals and making the nation proud. 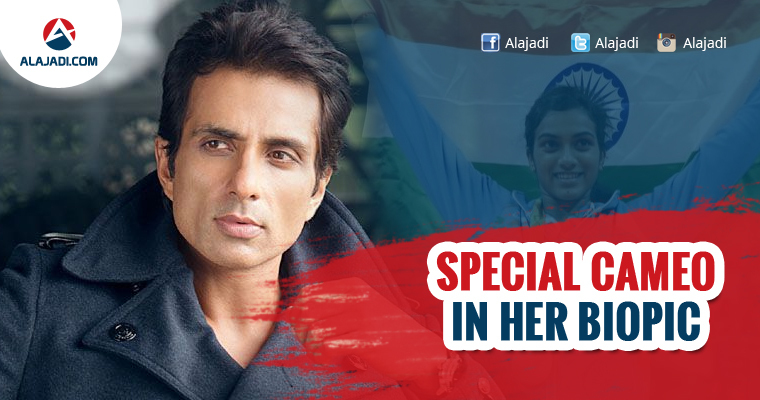 Former badminton player Pullela Gopichand has been her coach and she rewarded him in the form of accomplishments for his efforts to guide her. The idea of biopic came to light many days before. Sonu also felt Deepika Padukone, who was a good badminton player, could be fitting well to play P.V. Sindhu in the biopic. The biopic is a very interesting project and we should see if Deepika will give the nod to it. If she does, it is a great idea to see Deepika as a sportswoman as she has always appeared glamorous on screen. Apart from P.V. Sindhu, who will be playing Pullela Gopichand also needs a wait. When asked about a cameo of P.V. Sindhu, he said, I really want Sindhu to be a part of the film, just may be a special appearance. It is still in the scripting stages; hopefully, I should be soon ready with the final draft. I will try to see where I can incorporate her appearance. This will make the film even more special and that is what my efforts are for, says Sonu. Recently, Sonu and Sindhu also met at a studio to discuss the progress of the script.